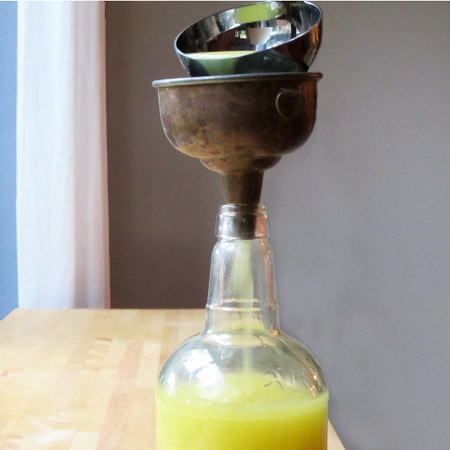 There is no secret to making limoncello. Some people will tell you that their recipe is a guarded family secret, that only Nonna has it, and she hasn't yet agreed to share the recipe before she dies. I can understand that kind of guardianship for a liqueur like Alkermes, which contains upwards of 20 different ingredients, but for limoncello? Nope. Just can't see it. We aren't taking rocket science here. I first had limoncello in a small and authentic Italian restaurant in Portsmouth, New Hampshire. The restaurant is long gone, but the memory of that limoncello lingers. After our dinner, the owner - who was Italian - came to the table with a bottle and two small cordial glasses. "A gift of the house," he said. It was sweet, and syrupy, and cold as ice, yet it warmed us inside instantly on that snowy December evening. "My Nonna, she makes it," he said. He said he didn't know exactly how, but only that she used grain alcohol. 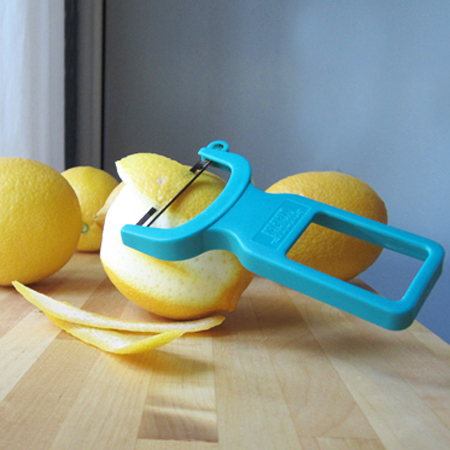 Squeeze the juice and use it for lemonade or making Moroccan preserved lemons. In later years we’d sip limoncello by candlelight under the Tuscan stars, after a leisurely meal with friends under jasmine-wreathed loggias. But how to make this liqueur still remained a mystery. Being that this was pre-Internet, I started looking for a recipe in my countless Italian cookbooks, but found none. Eventually, there was something in the New York Times travel section that included a recipe, so I clipped it out and planned to make it. The first ingredient was organic lemons. Well, at that time in the Northeast you had a better chance of winning the lottery than finding an organic lemon. 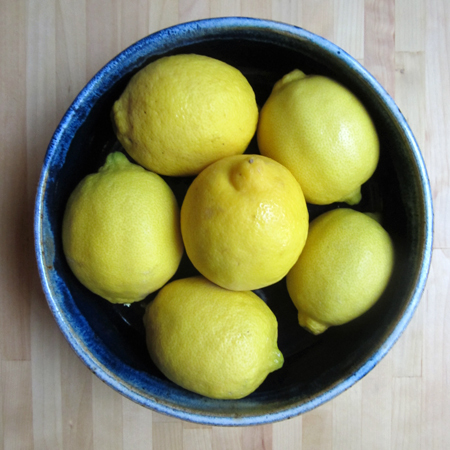 I put the recipe aside and determined to ask the green grocer to provide me with some organic lemons. Eventually, I got the lemons and made a batch - it was very good. I followed the recipe I had and used good-quality vodka, as it suggested. When I put it in the freezer, as is traditional, it turned into a giant yellow ice cube. This would never do. Then I remembered that our restaurant host - all those those years earlier - mentioned his Nonna made it with grain alcohol. Perhaps increasing the strength of alcohol would allow it to be stored in the freezer without freezing? My next batch found me at the liquor store asking for Everclear®, a 190-proof grain alcohol. The grain alcohol and a better recipe made all the difference, in flavor, consistency and freeze-ability. Just don't drink too much; it packs a real punch and more than a little cordial glass can leave you feeling quite worse for wear the next morning. Limoncello. It's simple. It's sweet. It's no secret. 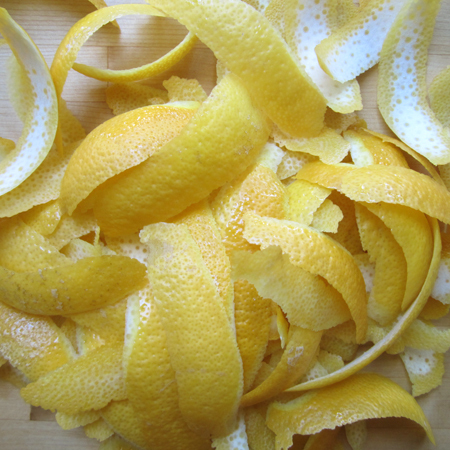 With a vegetable peeler, remove zest from all the lemons in wide flat strips and place in a glass jar large enough to hold 4 cups of liquid. (Juice lemons and reserve juice for another use, such as last week’s preserved lemons.) Add Everclear® alcohol. Cover tightly and let sit in a cool, dark place for 12 days. 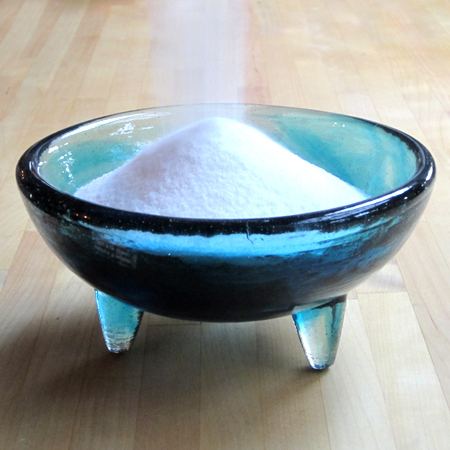 After 12 days, make a simple syrup by boiling water and adding the sugar, stirring until it is dissolved. Boil an additional minute. Let cool. Strain the zest out of the alcohol and discard zest. Pour the alcohol into the simple syrup – it will cloud up a bit. Divide among bottles; cork, seal and label. Keep your limoncello in the freezer or refrigerator. A couple of years ago I made mandarincello and it was delicious. 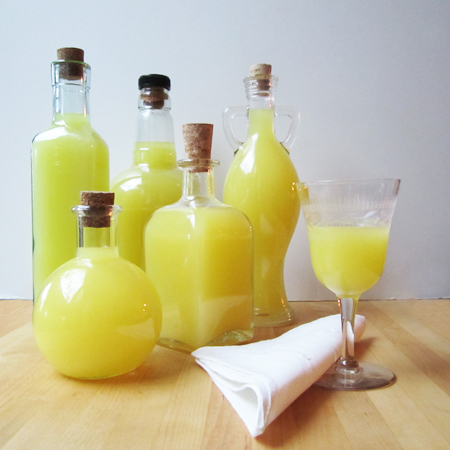 I've been thinking of making limoncello this year but totally neglected it. I agree with you, there's not secret to it. Yours looks great! Magda - we both love mandarincello and haven't had it since we were in the Cinque Terre ten years ago. We plan to plant a mandarin tree this year so I think we will be making it, too. I made meloncello this summer, and that was tasty, too. 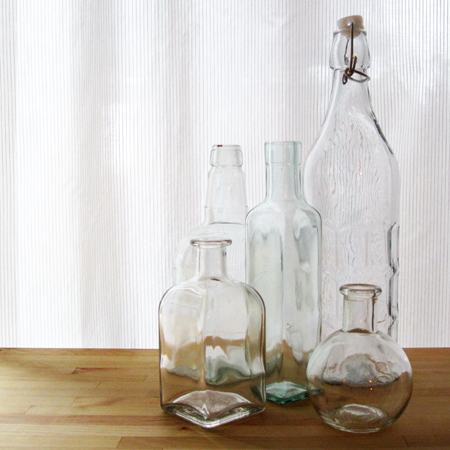 Those bottles, they are a perfect batch! I have the recipe given to me by one of my loom weavers; she makes it every year and gives me some for christmas, so I still never needed to make it... it is her recipe after all so why bother, ja! Right now I´m making amaretto. I´ll tell you how it goes since it doesn´t need any waiting period. Limoncello over a lemon olive oil cake is fantastic! How fabulous! A wonderful post - I could just visualize your description of Tuscany! And a great result. David - those bottles of liquid sunshine put a smile on my face! I love limocello on a balmy evening neat, over ice, as a sorbet or mixed through sparkling wine for a cocktail. Bellissimo! Paula - can't wait to hear about your amaretto. Hmmm... 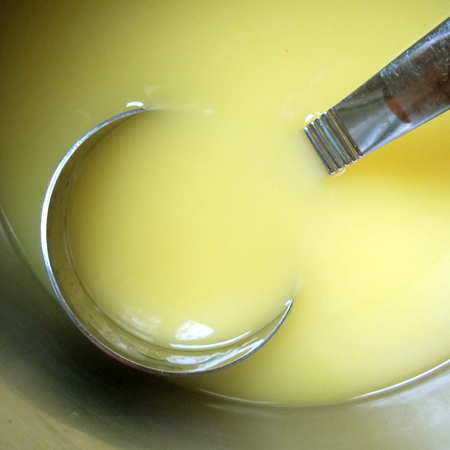 I am thinking I can find a good recipe for the lemon olive oil cake on your blog! Colette - the color seemed its normal yellow hue this time till I added the simple syrup - it is the best yellow I have ever gotten form a batch! Anna - I do love a spoonful of limoncello in a glass of prosecco - starts any meal off so nicely! Hmmmm... one has to wonder, but I imagine it would be an improvement over maple syrup on snow! Oh my word. What an amazing colour that limoncello is - just beautiful. I'm a little wary of having the stuff in the house though - we took little Tom to an Italian restaurant on his 2nd birthday and he snatched a glass of it from the table and drank it before anyone could stop him. He slept very well that night, but I don't want a repeat episode! Wow - Tom is quite precocious, isn't he? But has great taste, as far as I can tell! Sadly, our lemon succumbed this year to a bad frost. we will be starting over with one in a large pot that we can wheel under cover in case this happens again. Still oranges and limes are doing well, and I love having fresh citrus. David, this looks like an amazing recipe - I adore your photography and writing in this post. And I can see that you used "grain alcohol" or "Brandtwein" as we call it around here - we get it at the pharmacy (no less) and my beloved grand-mother Klara used to make a "Holunderbeeren-Aufgesetzer" (how is that for a name) with it every year. 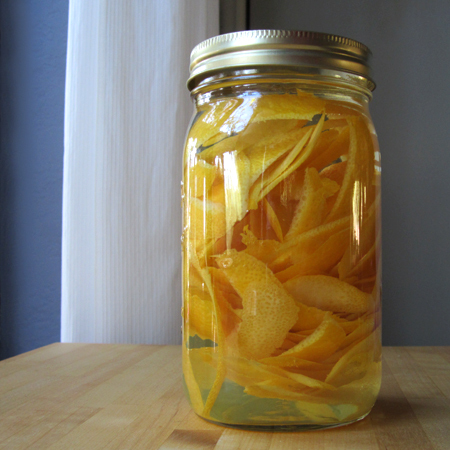 Your Limoncello looks sooo much better, though! Elderberry wine! I never realized it was so potent! 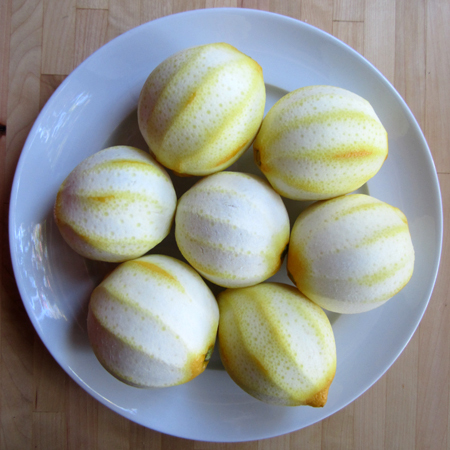 :) I am pleased you like this recipe and the photos, Andrea - I love making it each year with lemons from our tree. (Some years I need to augment with organic ones form the market...) I think your Grandmother Klara's recipe for Elderberry wine sounds wonderful... do you make it? My first attempt with Limoncello also gave me a very icy mixture once frozen. My solution was to stir the icy mass, and serve limoncello ices. What a treat on a hot summer evening. Cathy - a perfect adaptation of the saying, When life gives you lemons..." I bet it was awesome!